Becky Lynch: Best In The World? The ever-changing pro-wrestling landscape took a number of major twists and turns throughout November, with WWE, NJPW, and the British indies making big changes in what should go down as the most eventful month of the year. WWE courted controversy with Crown Jewel but rebounded with a stunning set of cards in TakeOver: WarGames II and Survivor Series. Both delivered in spades. 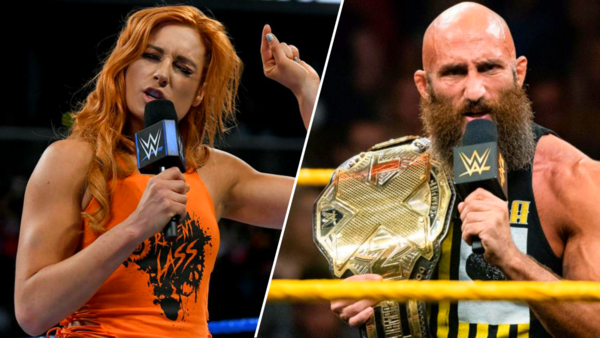 For the NXT show, it was another blistering Network special in a year full of them, and not to be outdone by their developmental counterparts, Raw and SmackDown's stars circumvented an inconsistent build to craft a bona fide 'Show Of The Year' contender. Seriously, who knew Ronda Rousey and Charlotte Flair had that great a match in them?! On the other side of the world, New Japan commenced their annual late-year cooldown with the solid Power Struggle 2018, headlined by Chris Jericho vs. EVIL. As for the United Kingdom? Well, it looks like WWE got what they wanted. Much of what went down this month reaffirmed our belief that there has never been a more interesting time to follow this weird, wonderful sport. Join us as we celebrate the best of the best.